Snow days are on the way! It’s already been snowing in the mountains and though coverage might be limited, especially at lower elevations, it’s time to talk about how to get started snowshoeing Seattle! If you want to get out all year, then learning snowshoeing is an awesome way to make winter super fun (and possibly even look forward to it!) Here in the Pacific Northwest, we have plenty of snow free trails all year (except for a few days here and there when it occasionally snows), so you can get out for hikes and walks without dealing with snow, but for folks who love to be outside and love snow then snowshoeing is a great sport for you! Last year we talked a bit about snowshoeing and cross country skiing near Seattle and today we’ll go more in depth about snowshoeing specifically and how to get started. 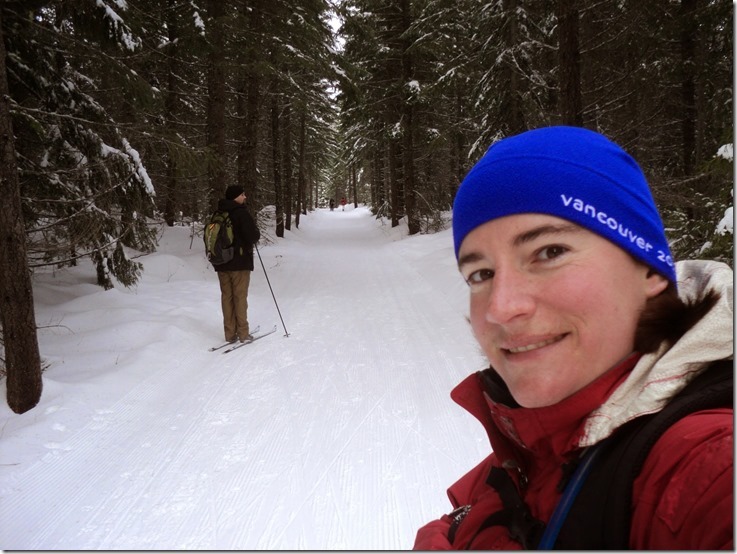 I’ve also included 5 great snowshoe trips for beginners at the end of the post! A huge benefit of snowshoeing is that other than the snowshoes themselves, you don’t need any special gear! If you already hike or go for walks, you likely have everything else you need. As for snowshoes, if you want to try them out before buying you can rent them from REI (note that they are often fully booked up so plan ahead or go for a weekday) or borrow them if you go on a snowshoe walk with a ranger at Paradise at Mt Rainier National Park or Hurricane Ridge at Olympic National Park. Rental snowshoes are also available at Stevens Pass Nordic Center and Snoqualmie Pass. If you’re ready to purchase them, Amazon and REI both have a lot of options! I have had the same pair of Atlas Snowshoes for twenty years and they are still in great shape despite heavy use! Now they come in a kit with a bag and poles (affiliate link) which is even more awesome (I highly recommend a carrier bag and poles). 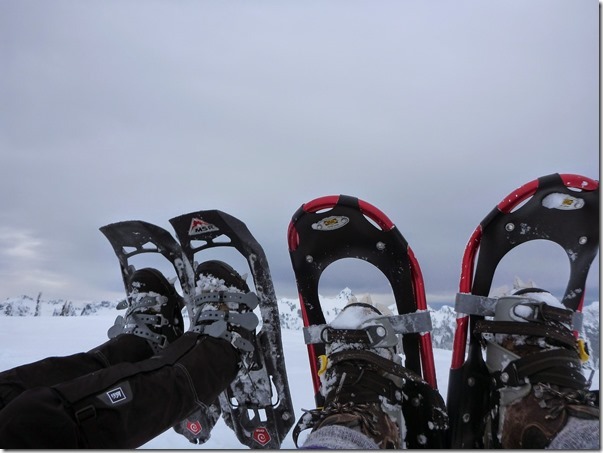 These MSR snowshoes (affiliate link to Amazon, also available at REI) are the ones I’ve used as a tour guide which also hold up well to heavy use. The next most important thing is footwear. Hiking boots or rubber boots are helpful because they will reduce the amount of snow that goes into your shoes. Gaiters, which are fabric booties that go over the top of your boots to keep out rain and snow, are also very helpful, though I don’t usually bother with them myself unless the snow is really deep. After that, you really can wear whatever you would normally wear hiking. Make sure to bring warm layers for taking breaks or in case the weather changes or you get caught out longer than you planned, but also bring lighter layers because you are likely to get very hot while you are actually snowshoeing, especially if you’re going uphill. Because of our marginally freezing temperatures (often right around freezing or above it), snowshoeing can be very wet, so I highly recommend a rain jacket and possibly rain pants to stay dry. See my previous post about what to wear for outdoor activity in winter in the Pacific Northwest. Make sure to take the 10 essentials (especially your headlamp) which is even more important during the cold months with short days. Bringing along a hot drink or hot food is a fun and welcome treat! 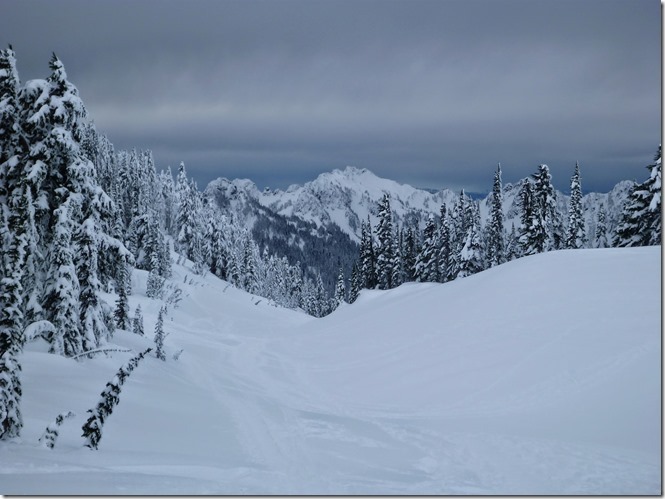 Washington state has a fabulous Sno Park system which costs $10/day or $40/year ($80/year if you want to add the groomed cross country ski trail parks, but you don’t want or need this if you are only going to be snowshoeing). 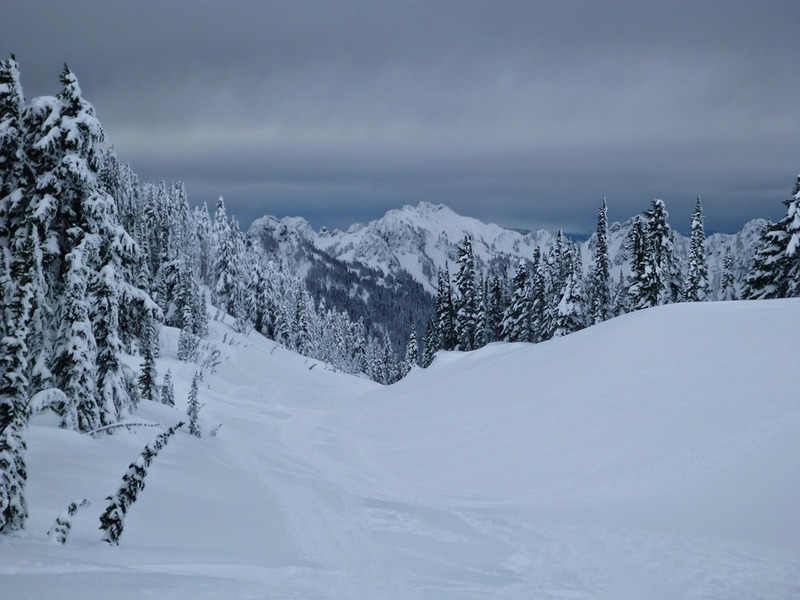 You can also snowshoe at Mt Rainier National Park and Olympic National Park, where you’ll need to pay the entrance fee (or have an annual interagency pass). Other trailheads require a Northwest Forest Pass (which you don’t need if you have a park service interagency pass). If you don’t have a car, or want to find others to snowshoe with, consider joining the Mountaineers, who teach classes and organize outings with carpools, or a Meetup group. Many Sno park and national park trails do not allow dogs. It’s important not to bring your dog on a winter (or any trail) where dogs are not allowed, and if they are allowed, they must be on a leash. Make sure to clean up after your dog including carrying out the bag! If you are snowshoeing in an area where there are also cross country skiers, make sure NOT to walk or snowshoe in groomed or ungroomed ski trails and tracks or in the skating lane. Keep the boots and snowshoes to the right side of the trail. This is really important for different types of users to enjoy our trails! In addition to carrying the 10 essentials, which is even more important during the winter, winter has with it some additional risks, such as avalanches and slippery roads. The Northwest Avalanche Center forecast is a critical source of information about avalanche danger throughout the winter, and WSDOT has important information about the road conditions. Snowshoeing is harder and slower than walking. I usually assume that if I snowshoe a trail it will take me twice as long as it does hiking. Keep this in mind when planning your trip and determining your turnaround time, especially on our short winter days. A word about our lakes: The temperatures here are marginal for ensuring safe crossing of frozen lakes. I recommend sticking to going around, not on, the lakes for this reason! 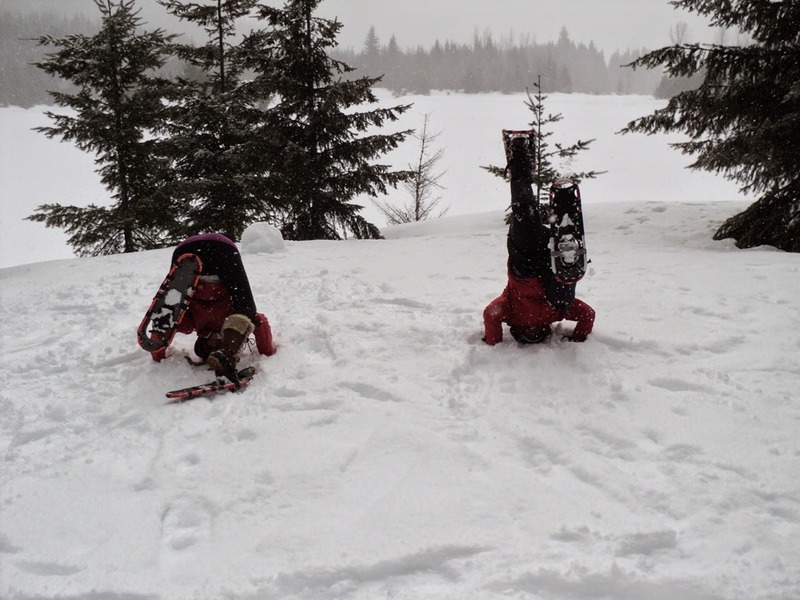 Really, snowshoeing is pretty straightforward. You strap the snowshoes onto your shoes or boots, and you walk. If you can walk, you can snowshoe! I would advise against trying to walk backwards (such as taking a photo) because that’s an excellent way to land in the snow. You’ll be more tired and slow when snowshoeing compared to walking but you’ve got this! 1. Gold Creek Sno Park (Snoqualmie Pass, dogs allowed on leash, Washington State Sno Park permit): This is probably the best place for beginners close to Seattle because it’s a sno park (plowed) and it’s basically flat. You can go a long ways up the valley if you want to, or you can make a short loop around the pond, allowing for plenty of opportunity for sno play as well as snowshoeing! 2. Kendall Peak Lakes (Snoqualmie Pass, dogs allowed on leash, Washington State Sno Park permit): This is another excellent beginner route, with a bit more challenge than Gold Creek because it climbs uphill. You can go up to 9 miles round trip, or make a shorter route by turning around anywhere along the route. It has some nice views of surrounding mountains and the Snoqualmie Pass area. 3. Lake Easton (East of Snoqualmie Pass, west of Cle Elum; dogs leashed on some trails, Washington State Sno park permit): These trails are shared with cross country skiers so make certain to stay to the right of the groomed track and skating lane. It’s a pretty area and an easy, mostly flat trail system. This area is a bit lower than the others and generally has a shorter season, so check current conditions before heading here. 4. 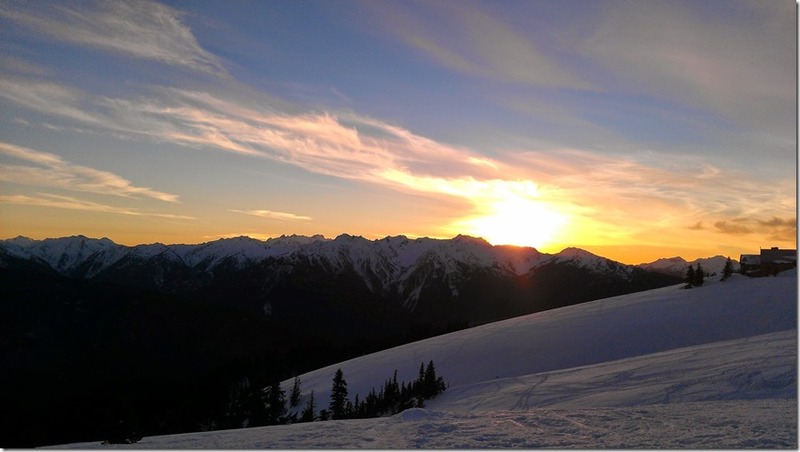 Hurricane Ridge-Olympic National Park (Olympic National Park, no dogs, park entrance fee): The road from the Hurricane Ridge Visitor Center to the summer trailhead makes for an awesome beginner snowshoe outing (approximately 3 miles with a bit of up and down) with amazing views! Going to the top of Hurricane Hill is a 6 mile outing (and avalanche danger must be taken into consideration beyond the summer trailhead). Rangers in the visitor center can recommend other routes based on the conditions, and you can join a ranger led snowshoe walk (including using snowshoes). 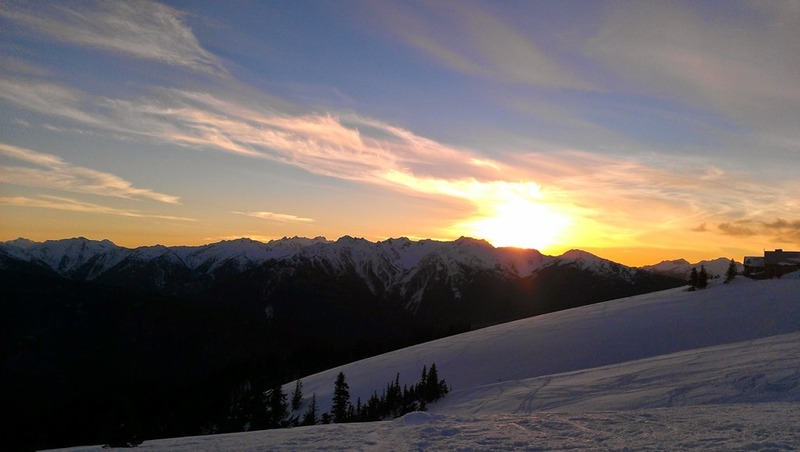 Note that the road to Hurricane Ridge and the visitor center are only open Friday-Sunday during the winter. 5. Paradise Area -Mt Rainier National Park (Mt Rainier National Park, no dogs, park entrance fee): Another great beginner area is the area around the Paradise Visitor Center, where you can explore on your own and get advice from a ranger about where to go, or go on a snowshoe walk with a ranger (snowshoes included)! 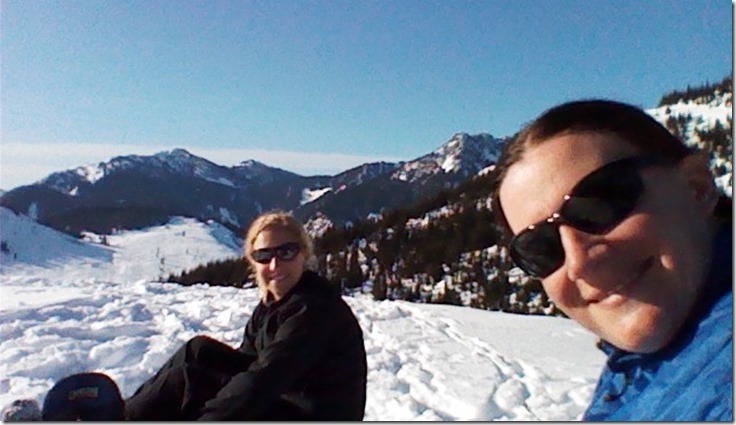 Snowshoeing at Paradise in Mt Rainier National Park provides lots of scenery besides just “THE MOUNTAIN”!